Popular historic sites such as Tjoloholms Castle and Skansen Kronan are in your itinerary. Discover out-of-the-way places like Gekås Ullared and Maritiman. You'll find plenty of places to visit near Gothenburg: Kungsklyftan (in Fjallbacka), Carlstens Fastning (in Marstrand) and The Rock Carvings in Tanum (in Tanum). The adventure continues: kick back and relax at Tylosand Strand, examine the collection at Aeroseum, take an in-depth tour of City Museum (Goteborgs Stadsmuseum), and take in the architecture and atmosphere at Vasa Church. For where to stay, photos, reviews, and tourist information, go to the Gothenburg itinerary planning app . Boise, USA to Gothenburg is an approximately 23.5-hour flight. The time zone difference when traveling from Boise to Gothenburg is 8 hours. Expect much colder weather when traveling from Boise in August: highs in Gothenburg hover around 67°F, while lows dip to 53°F. Wrap up your sightseeing on the 21st (Tue) to allow time to travel to Copenhagen. You'll explore and learn at M/S Maritime Museum of Denmark and Thorvaldsens Museum. Do some cultural sightseeing at Assistens Cemetery and Frederiksborg Slotskirke. 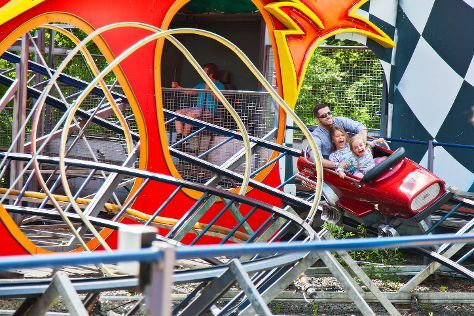 Pack the 24th (Fri) with family-friendly diversions at Bakken - World's Oldest Amusement Park. The adventure continues: pause for some serene contemplation at St. Alban's Church, take in the spiritual surroundings of Grundtvig Church (Grundtvigs Kirke), look for gifts at Illums Bolighus, and kick back and relax at Amager Strandpark. To see other places to visit, traveler tips, reviews, and other tourist information, read our Copenhagen trip builder site . You can fly from Gothenburg to Copenhagen in 3 hours. Alternatively, you can take a train; or drive. In August, plan for daily highs up to 71°F, and evening lows to 54°F. Wrap up your sightseeing by early afternoon on the 25th (Sat) to allow enough time to travel to Boise. You'll explore the less-touristy side of things at Huston Vineyards and The Village at Meridian. Deepen your sense of the past at sights like St. John's Cathedral and Boise Mormon Temple. Get out of town with these interesting Boise side-trips: Ste. Chapelle Winery (in Caldwell) and Four Rivers Cultural Center & Museum (in Ontario). The adventure continues: do a tasting at Telaya Wine Co., wander the streets of Hyde Park, stop by Cravin's Candy Emporium, and view the masterpieces at Boise Art Glass. To find where to stay, other places to visit, more things to do, and other tourist information, use the Boise tour itinerary builder app . The Route module can help you plan travel from Copenhagen to Boise. Traveling from Copenhagen to Boise, you'll gain 8 hours due to the time zone difference. Traveling from Copenhagen in August, expect Boise to be a bit warmer, temps between 91°F and 63°F. Wrap up your sightseeing on the 28th (Tue) early enough to travel back home. Caldwell, The Village at Meridian, Four Rivers Cultural Center & Museum, Telaya Wine Co.